One Twin Gave Up Sugar, The Other Gave Up Fat. Their Experiement Could Change Your Life! By avoiding mirrors and scales you can fool yourself about encroaching middle-aged spread, but it’s much harder when you have an identical twin with whom you can compare yourself. My twin Chris and I have each gained and lost a lot of weight since we qualified as doctors 11 years ago. At my lightest, I was 9½ st – skinny for someone who’s 6ft. But then I moved to the U.S., my life became sedentary and in a few years I was 17½ st.
Chris was back in England at a normal weight of 12½ st and was appalled at my transformation. I was a fat version of him – a walking cautionary tale about what he could easily become. Weight gain and obesity can be explained by lack of willpower and self-control or by genetic and hormonal factors. But when you have one thin twin and one fat twin, it’s hard to blame any of those things. I put it down to stress and the birth of my son, but those things didn’t really explain what had changed. I managed to lose quite a bit of that weight while working in the developing world, but now we’re 35 and both gluttons we have to pay some serious attention to our expanding waistlines. But here’s the problem: despite being doctors – I also have a degree in public health – neither of us knew much about losing weight and eating healthily. These topics fall between the cracks at medical school. Yes, we understood biochemistry and food metabolism, and knew a lot about the consequences of being overweight. But which diets work, why we eat too much and why losing weight is so hard don’t sit within any medical speciality. Superficially, it seems straightforward: we’re all getting fat because we eat too much and don’t exercise enough. Right? Well, not if you look at the debate about fat versus sugar now playing out. For years it was thought fat was bad for you: it made you get fat, so low-fat food was good. But the ‘fat is bad’ dogma is being widely challenged. Carbohydrates, including sugar, are increasingly viewed as the evil, fattening, toxic ingredient. But which really is worse for you? 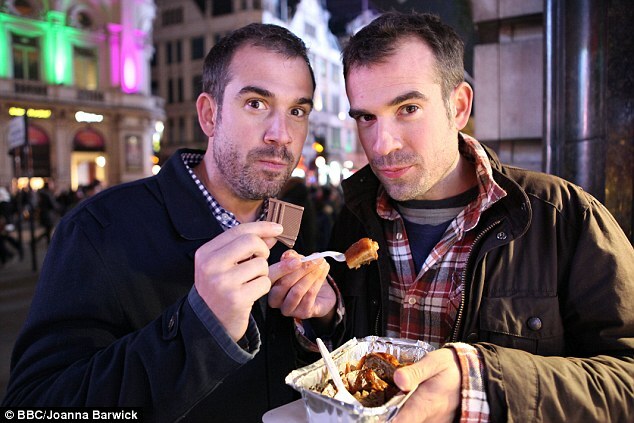 In a unique experiment for BBC’s Horizon, Chris and I set out to find the answer by going on different diets for a month. Identical twins like us are extremely useful in experiments because we have exactly the same genes. This means any changes we observed would be due to the diets and not genetics. I went on a no-carbohydrate diet – essentially no sugar – and Chris went on an extremely low-fat diet. 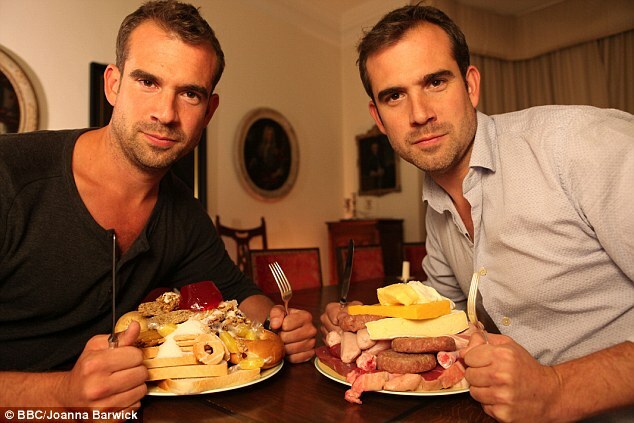 We were allowed to eat as much as we wanted, except I couldn’t have carbohydrates and Chris was allowed only the barest amount of fat – you need some fat to survive, so he restricted himself to food with less than 2 per cent fat. However, in every other respect, including our exercise levels, our lives were similar, so any changes in our bodies at the end of the experiment would be down to the diets. So, not only would the programme solve our weight problems, but the results – showing whether sugar or fat was worse – would solve everyone else’s! Let me tell you straight up that both of these diets were miserable. I thought I’d got the better deal: I could eat meat, fish, eggs and cheese. But take away carbohydrates and the joy goes out of meals. And remove all fruit and veg – they all have carbs – and you get constipated. Though I was never hungry, I felt slow and tired, and my breath was terrible. Chris on his low-fat diet didn’t fare much better. He never felt full, so was constantly snacking, and like me he found that all the pleasure had gone out of meals: pasta without olive oil is boring. There was one saving grace: each of the diets was easy to follow because they have just one simple rule. And I also had a pretty good reason to persevere: I really thought my low-carb diet would work and I’d end up slim and healthy a month later. That’s because the logic underpinning low-carb diets seems pretty convincing. The thinking is that carbohydrates raise your blood sugar and stimulate your body to produce insulin. Insulin is the hormone needed to lower blood sugar, but it has another effect: it’s a growth hormone. It makes your body convert sugar to fat and makes that fat hard to use as a source of energy. This can lead to what’s called metabolic syndrome, a combination of abdominal obesity, high blood pressure and raised cholesterol and other fats in your blood. This, in turn, raises your risk of type 2 diabetes, heart disease, stroke, cancer and other serious health conditions. This insulin hypothesis – that the key cause of people getting fat is elevated insulin, caused by eating carbs – undercuts the most basic idea about weight gain: that if you eat more calories than you burn, you will gain weight. This is because, according to this theory, calories from carbohydrates are worse than calories from fats. They make you fatter and more likely to die of heart attacks. Conversely fat – even saturated fats – are getting a new lease of life as a superfood. Well-respected scientists will tell you that if you cut out carbohydrates (thus lowering your insulin levels), it’s almost impossible to gain weight. These scientists believe reducing our sugar intake is the only way to solve the obesity epidemic. But, as our results show, it’s a bit more complicated than this. Chris and I each lost weight on our diets – I lost the most, a remarkable 9lb in one month – but the other results were not at all what we had expected. One of the words you hear a lot when people talk about very low-carb diets is ketosis. This is where your body makes chemicals called ketones, which can act as fuel for the brain, which can’t use fat. But they’re not great brain food. While I wasn’t distracted by hunger for the month, I felt thick-headed, and this was most evident in a stock trading competition with Chris. We started with £100,000 of fake money and he almost tripled what I earned over an hour. The same was true for my physical performance. We spent a day with Nigel Mitchell, the head of nutrition at Team Sky Cycling. Over a series of tests – all of which involved needles and long sessions of uphill cycling – he put us through our paces. Again Chris thrashed me in every test. So, even though I seemed to be losing more weight, everything became harder to do. Our experiment showed that you can lose a lot of weight, as I did, on a low-carb diet, but that isn’t necessarily good for you. You can lose weight on a low-fat diet, as Chris did – but over the long term unregulated consumption of sugar may also have negative health consequences. The most interesting thing we found was that we were asking the wrong question. It’s not which is worse for you, fat or sugar, but rather which foods are making so many of us gain weight and why? The insulin hypothesis sounds scientific, but it doesn’t explain what large, independent research studies over long periods of time have shown: low-carb diets don’t work for everyone or even a majority of people. For any diet to work you have to be able to keep it up for the rest of your life. I thought I would stick to low carbs after we finished, but having my first meal with carbs – and the boost in energy and alertness it gave me – reminded me that for a month I had been under-performing in all areas of my life, and I’d felt dreadful. The diet industry is polarised around simple debates such as fat vs sugar because there are huge amounts of money at stake. Farmers, food manufacturers, lobbyists, scientists and authors of diet books need to defend one or other side. Fortunately, you don’t need to worry about any of that. What we discovered is that the real reason we’re all getting fatter isn’t fat or sugar. Furthermore, sugar alone isn’t very addictive – only horses snack on sugar cubes and very few people gorge on boiled sweets or dry toast. And fat isn’t really addictive either: when did you last sneak a spoonful of butter from the fridge late at night? The modern processed food industry knows this and that’s why you’re rarely sold the two separately – what is addictive is the combination. 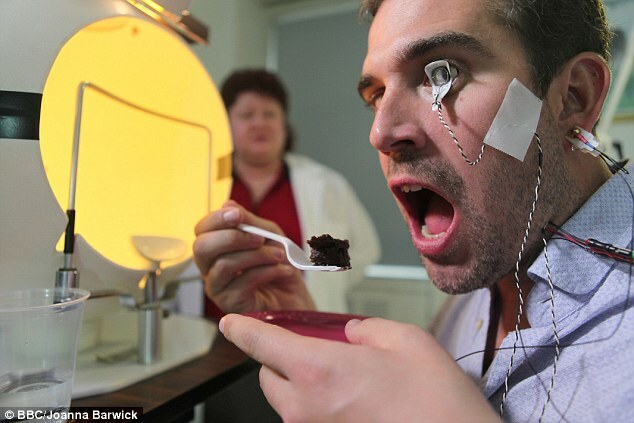 We interviewed some amazing scientists who showed us that a combination of fat and sugar (such as in milk chocolate or ice cream) has a similar effect on your brain to cocaine. Remove either and your tub of ice cream will be a lot less appetising and a lot less addictive. It’ll have fewer calories, too. So, what were our conclusions? If you want to lose weight it will be much easier if you avoid processed foods made with sugar and fat. These foods affect your brain in a completely different way from natural foods and it’s hard for anyone to resist eating too much. And any diet that eliminates fat or sugar will be unpalatable, hard to sustain and probably be bad for your health, too.